It's a common problem for so many businesses; There is 1 system which looks after stock, another system that processes orders and a website which doesn't communicate with either. Building bridges between your most important business tools means massive efficiency savings. Never oversell and under deliver again with live stock updates. 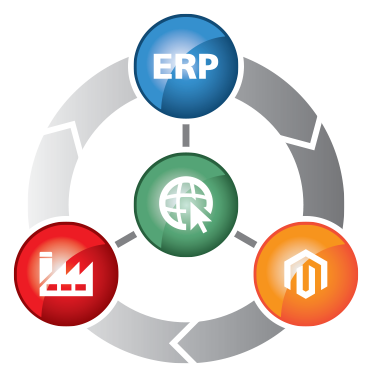 Know instantly when web orders are received directly within your ERP system. From the moment an order is placed on your website, the clock is ticking. Customers who shop online demand swift service, and by joining the dots you could have their order picked, packed and shipped within minutes of the order being received. 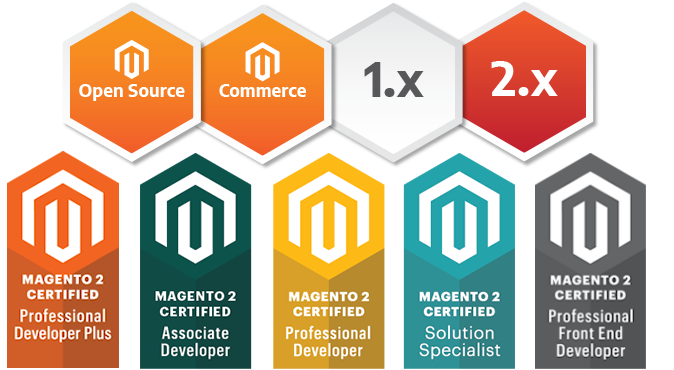 Our dedicated Magento development team has a wealth of experience in connecting Magento to ERP systems such as FRS Torex, SAP Business One, People Vox, Retail Systems, X-Margin, Order Wise & Bright Pearl. Integrating product catalogue, stock levels, order management and customer account creation saves hundreds of staff hours every year. The customer places the order on your Magento website and everything is automated from there on in; the order passes through various states and the customer is continuously informed through triggered emails with order tracking information. With the fulfillment & user journey fully taken care of, you are free to focus solely on driving new sales and growing your business.